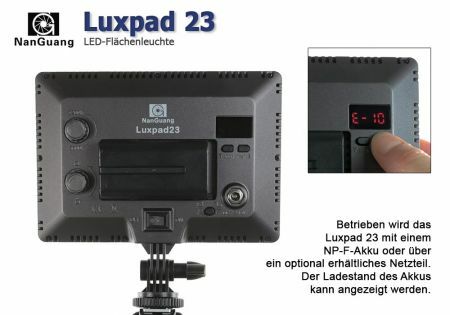 The NanGuang Luxpad 23 is a very slim LED light that generates due to its integrated diffuser a smooth and glare-free light. The Luxpad 23 is equipped with 116 LEDs. The colour temperature is continuously variable from 3.200 up to 5.600 k and also the light level is dimmable. 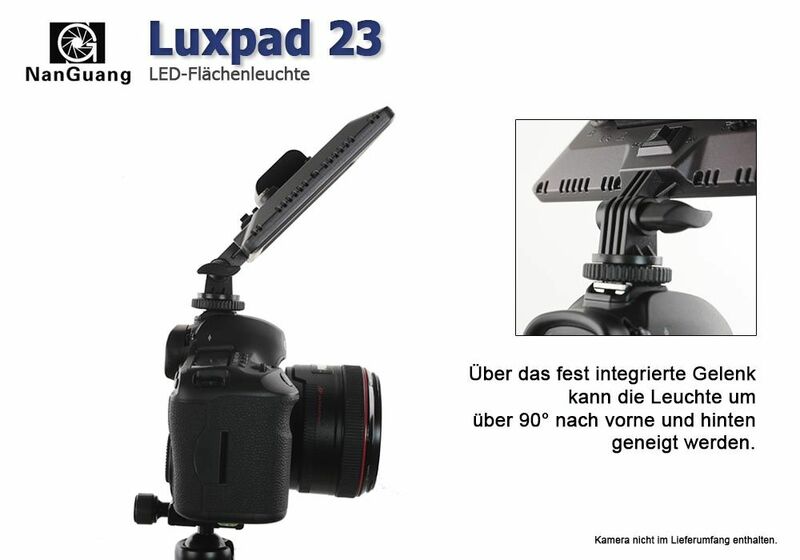 The integrated diffuser provides a very consistent light. 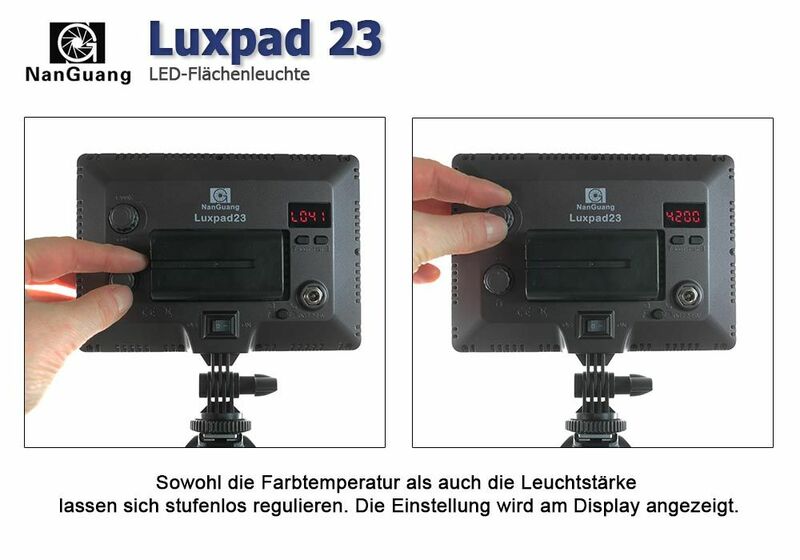 Even though the light area is 14 x 9cm large, the Luxpad 23 is only 2.4 cm thick and has a weight of only 236gr. The adapter hot shoe adapter has a tilting range of more than 180°. 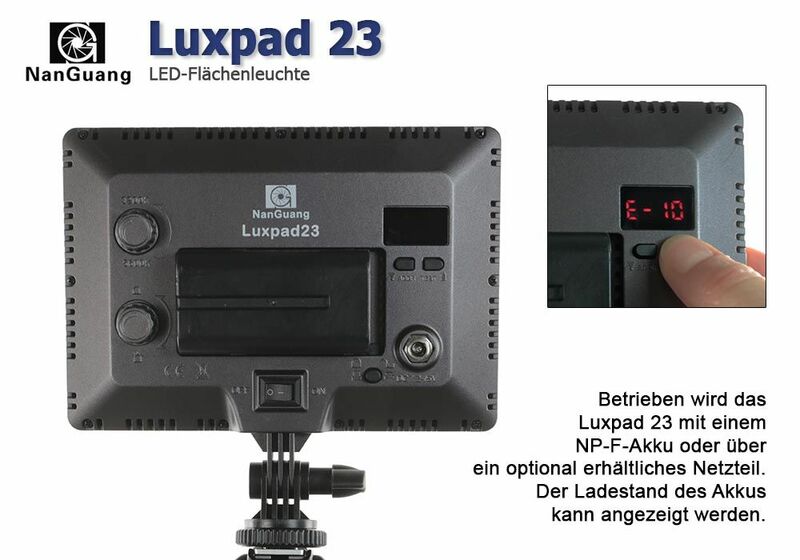 The Luxpad 23 is powered by a NP-F rechargeable battery, of which the state of charge can be surveyed by a testing function. 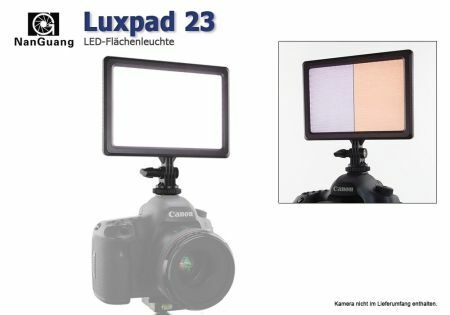 For the use in the studio the light panel can also be powered by a mains adapter, which is available as a separate accessory.